Are Bigger Solar Cells More Efficient? Solar cells depend on a phenomenon known as the photovoltaic effect, discovered by French physicist Alexandre Edmond Becquerel (1820-1891). It is related to the photoelectric effect, a phenomenon by which electrons are ejected from a conducting material when light shines on it. Albert Einstein (1879-1955) won the 1921 Nobel Prize in physics for his explanation of that phenomenon, using quantum principles that were new at the time. Unlike the photoelectric effect, the photovoltaic effect takes place at the boundary of two semiconducting plates, not on a single conducting plate. No electrons are actually ejected when light shines. Instead, they accumulate along the boundary to create a voltage. When you connect the two plates with a conducting wire, a current will flow in the wire. Einstein's great achievement, and the reason for which he won the Nobel Prize, was to recognize that the energy of the electrons ejected from a photoelectric plate depended – not on light intensity (amplitude), as wave theory predicted – but on frequency, which is the inverse of wavelength. The shorter the wavelength of incident light, the higher the frequency of the light and the more energy possessed by ejected electrons. In the same way, photovoltaic cells are sensitive to wavelength and respond better to sunlight in some parts of the spectrum than others. To understand why, it helps to review Einstein's explanation of the photoelectric effect. When photons are incident on a conducting material, they collide with the electrons in the individual atoms. 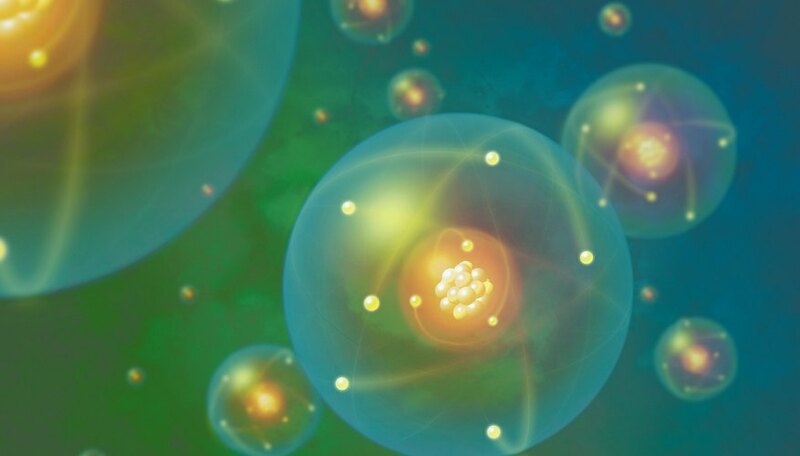 If the photons have enough energy, they knock out the electrons in the outermost shells. These electrons are then free to circulate through the material. Depending on the energy of the incident photons, they may be ejected from the material altogether. According to Planck's law, the energy of the incident photons is inversely proportional to their wavelength. Short-wavelength radiation occupies the violet end of the spectrum and includes ultraviolet radiation and gamma rays. On the other hand, long-wavelength radiation occupies the red end and includes infrared radiation, microwaves and radio waves. Sunlight contains an entire spectrum of radiation, but only light with a short enough wavelength will produce the photoelectric or photovoltaic effects. This means that a part of the solar spectrum is useful for generating electricity. It doesn't matter how bright or dim the light is. It just has to have – at a minimum – the solar cell wavelength. High-energy ultraviolet radiation can penetrate clouds, which means that solar cells should function on cloudy days – and they do. A photon must have a minimum energy value to excite electrons enough to knock them from their orbitals and allow them to move freely. In a conducting material, this minimum energy is called the work function, and it's different for every conducting material. The kinetic energy of an electron released by collision with a photon is equal to the energy of the photon minus the work function. In a photovoltaic cell, two different semiconducting materials are fused to create what physicists call a PN-junction. In practice, it's common to use a single material, such as silicon, and to dope it with different chemicals to create this junction. For example, doping silicon with antimony creates an N-type semiconductor, and doping with boron makes a P-type semiconductor. Electrons knocked out of their orbits collect near the PN-junction and increase the voltage across it. The threshold energy to knock an electron out of its orbit and into the conduction band is known as the band gap. It's similar to the work function. The wavelengths of visible light occur between 400 and 700 nm, so the bandwidth wavelength for silicon solar cells is in the very near infrared range. Any radiation with a longer wavelength, such as microwaves and radio waves, lacks the energy to produce electricity from a solar cell. Any photon with a energy greater than 1.11 eV can dislodge an electron from a silicon atom and send it into the conduction band. In practice, however, very short wavelength photons (with an energy of more than about 3 eV) send electrons clear out of the conduction band and render them unavailable to do work. The upper wavelength threshold to get useful work from the photoelectric effect in solar panels depends on the structure of the solar cell, the materials used in its construction and the circuit characteristics. In short, PV cells are sensitive to light from the entire spectrum as long as the wavelength is above the band gap of the material used for the cell, but extremely short wavelength light is wasted. This is one of the factors that affects solar cell efficiency. Another is the thickness of the semiconducting material. If photons have to travel a long way through the material, they lose energy through collisions with other particles and may not have enough energy to dislodge an electron. A third factor affecting efficiency is the reflectivity of the solar cell. A certain fraction of incident light bounces off the surface of the cell without encountering an electron. 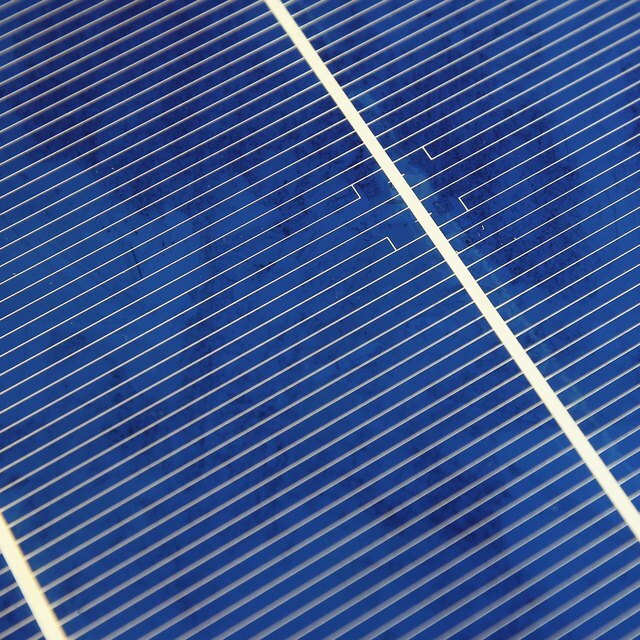 To reduce losses from reflectivity and increase efficiency, solar cell manufacturers usually coat the cells with a nonreflective, light-absorbing material. This is why solar cells are usually black. How Are Diodes Used in Our Everyday Lives? Deziel, Chris. "The Effect of Wavelength on Photovoltaic Cells." Sciencing, https://sciencing.com/effect-wavelength-photovoltaic-cells-6957.html. 01 December 2018.